There has been a growing trend in electrophysiology toward remote, home monitoring of implantable cardioverter defibrillators (ICD), cardiac resynchronization therapy (CRT) devices, pacemakers and implantable cardiac monitors. Remote monitoring helps improve work efficiency, reduces loads on clinics, improves adherence to scheduled follow-ups, and enables early detection of more severe cardiac problems. ICDs were introduced in 1989, and today more than 2 million patients in the United States alone have them implanted. In 2006 the Heart Rhythm Society made a call to manufacturers to create home monitoring systems so the devices could be used as an early detection system of threatening cardiac problems. Many of the new cardiac rhythm devices released in the past couple years have met this criteria. Since these remote monitoring systems have been implemented, the adherence to regular monitoring has improved greatly with patients using remote monitoring-capable implants. Triggers can be set for events that automatically send an update on the patient’s condition to the physician’s office using the remote monitoring transmission system. These triggers can include settings that are out of range, delivered shocks, or other parameters set by the treating physician. While remote monitoring eases the burden of follow-ups on patients and clinics and allows for improved patient care, it also enables clinics to charge for more frequent checkups. It has been argued by some physicians that remote cardiac monitoring technology is not at the level of sophistication some manufacturers would lead physicians to believe. 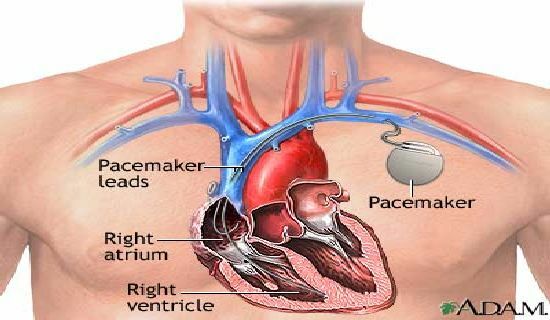 Some CRT and ICD devices, and the majority of pacemakers, do not have remote monitoring capabilities. Patients still need to be next to their Web-enabled transmitter to make a connection to send a report, so if an event happens away from home, it is not automatically reported. Despite some drawbacks, progress continues. For example, Biotronik’s Home Monitoring system for early detection of all arrhythmias, including atrial fibrillation, ventricular tachyarrhythmia and ventricular fibrillation is very accurate. Using this type of cardiac remote monitoring system, it takes three days to detect these problems, versus more than 30 days using conventional office follow-ups. Visit MedWOW and search for the category of remote cardiac pacemaker and implantable cardioverters defibrillator systems you are looking for and you will experience the current inventory from all over the world in new and used remote cardiac monitoring systems, as well as remote cardiac monitoring parts and accessories. With so many options, where do you start? You can search for cardiac monitoring systems according to a wide variety of filters, designed to help you find exactly what you need including: manufacturer, model, price range, year manufactured, location, condition and seller’s business type. In addition, you can decide to use any or all of MedWOW’s support services to help you in making the most cost-effective purchase possible. 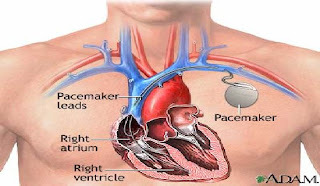 For example, there is currently a wide range of cardiac monitoring manufacturers and models available, including: Cordis, Intermedics, Pace Medical, Medtronic, Teletronics and many others. If English isn’t your primary language, that’s alright, as the site is in many languages, and MedWOW’s customer support team can address your questions about remote cardiac pacemaker and implantable cardioverters defibrillator systems in 10 languages.